Top 10 Free Save-the-Date Templates: Great Resources for Weddings, Showers and Other Important Events! All of the free templates detailed in this article can be easily changed to incorporate your own details, and most often the image can be changed too. You can easily print these designs out on your own printer at home, or take your completed personalized design to a printer who can do the job for you—it'll still be cheaper than getting a specially designed one made by a professional. Don't feel restricted by the design either—you don't just have to print them onto a regular card. 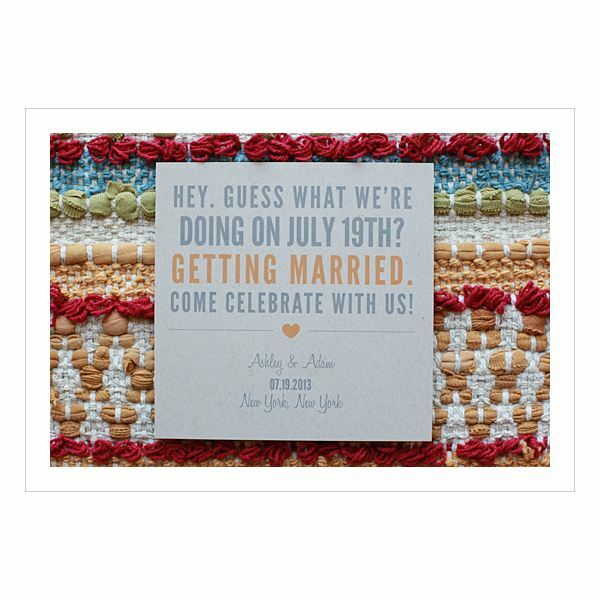 You can make your save-the-date cards into fridge magnets, credit-card sized designs, print onto clear acetate sheets, or add some raised details to make them really stand out once you've printed them. The all-important links to take you to these fantastic resources are detailed at the end of the article. As well as the other great template resources for free save-the-dates we've detailed below, we also have an extensive range of DTP goodies in our very own Bright Hub Media Gallery. This save-the-date template is downloadable in Word format, so you can easily alter the names, dates, and any other details you wish to, with ease. It has been designed with two side-by-side cards per page, so you can get printing in double-quick time. The images used in this template have been taken from the Love Romance wedding dingbat font by Blue Vinyl. 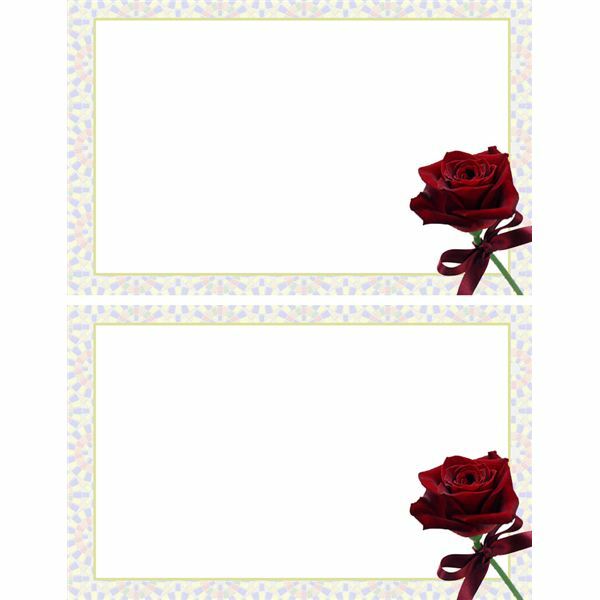 Please see our article on free wedding dingbats for more images that you can use to add to whichever wedding project you wish. wedding. If you want to give your friends and family a heads-up on a future celebration, then the bright and striking designs of these templates will leave them with no reason to forget. The designs are basic but appealing, and come in a PDF format. 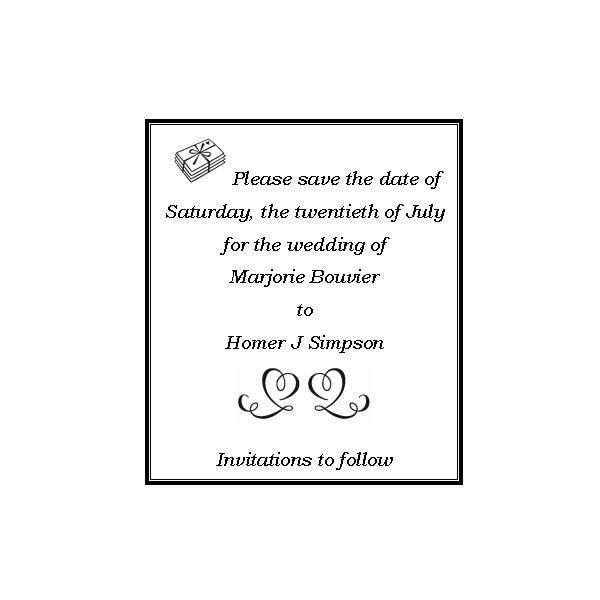 There are no specific areas to type the relevant text so either use the white space on the front of the card, or just use it as a cover, adding the relevant details to the reverse of the card—make the back of the card more appealing with some appropriate save the date clipart. Although this template was created with a fall wedding in mind, it would be appropriate for a wedding at any time of year. Papercrafters may want to add some leaf die cuts for a summer wedding, or incorporate blossom and flowers for a spring wedding. Adopt this design for a winter wedding invitation by using white glitter or embossing powder to put snow on the tree. A perfect design for the laid back couple, gets the message across in a casual but succint way. The template is offered free in an Adobe Illustrator format, but the folks at this site are really helpful in suggesting ways to get around this, or will even help you design your own save-the-date card. free and easy to download from the Microsoft website (see link at the end of article), the second is that you can fit at least two of these cards onto one page (so it will keep down your paper and printing costs), the third is that it is entirely customizable. 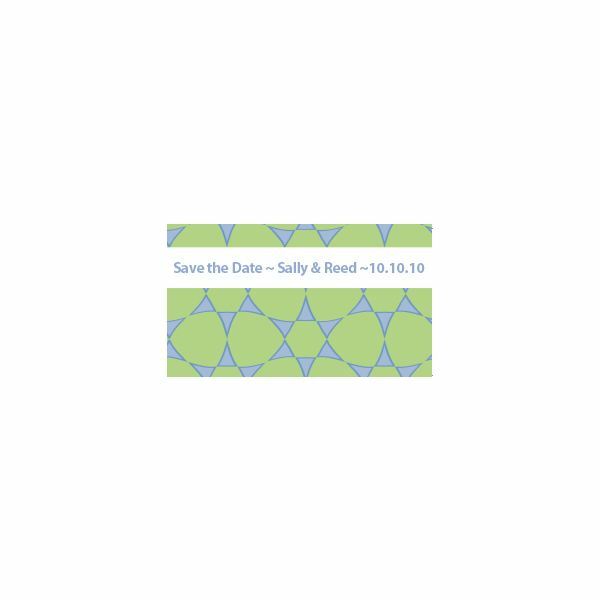 So once you open the template in Word, all you have to do is click in the relevant area to change the save the date wording, and your save-the-date card is complete—even changing the photo is easy. Continue on to the next page for more great free save-the-date templates! To get started with this save-the-date template for free, all you need to do is to sign up for a free Avery account—just a handful of details are needed and you don't get bombarded with emails from them. Once you've done that you are free to download their many templates. This one is designed to be printed onto one of their magnet sheets, which is a useful and interesting idea. You can fit 10 magnets to one page, so printing won't take you long, and your guests are much less likely to forget the date if they have it sitting on their fridge as a reminder. Of course you don't have to use the template to print onto a magnetic sheet, you could just print it out onto cards and send them out that way. The template comes in Word format, and the pertinent details are easily changed. If you like the idea of a save the date card with a magnetic back, then this is the resource for you. -date template for free, and amend to include your relevant details. Then just print it out in black and white and you're done. 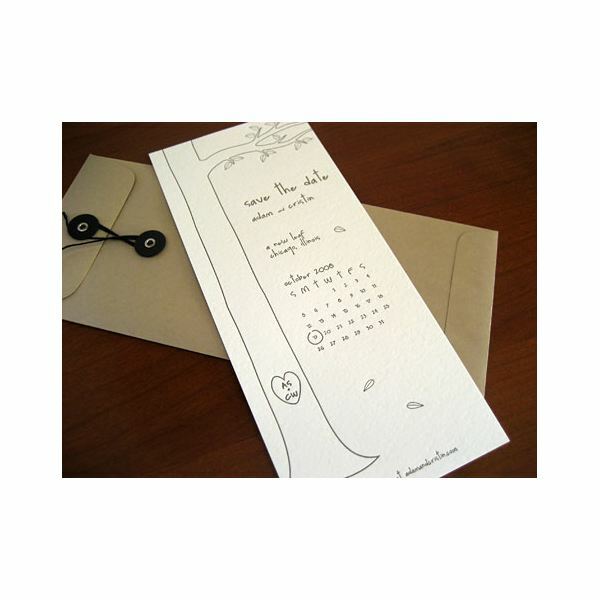 This Webpage also offers a free envelope template to complement the save-the-date card too. The small type at the top of the card says "Look how far we've come", which would be particularly appropriate for a long-distance engagement, or even just a long-standing engagement. 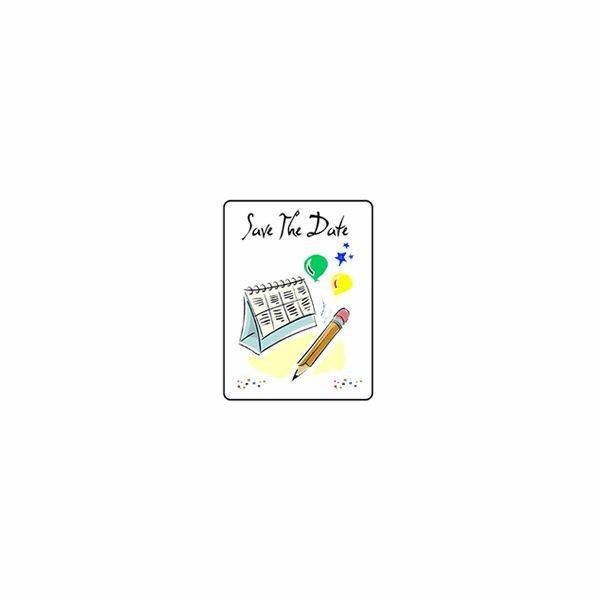 This website is an absolute boon for those of you who want the ease of using a save-the-date template for free, but lack some basic skills in the arena of desktop publishing. There are many designs offered on this website, so you are sure to find one that suits you. The great thing about the software used here, is that it's all easily done on the screen and you don't need to download any extra programs or anything else at all. Simply choose your design and you are taken to an editing screen. Here you just add your details, include whichever picture you want, and print. The only downside I can foresee, using this program, is that you have to print while you are online, and there doesn't seem to be a facility to save your design, so you'd need to do all your printing in one sitting—make sure you print enough first time around. 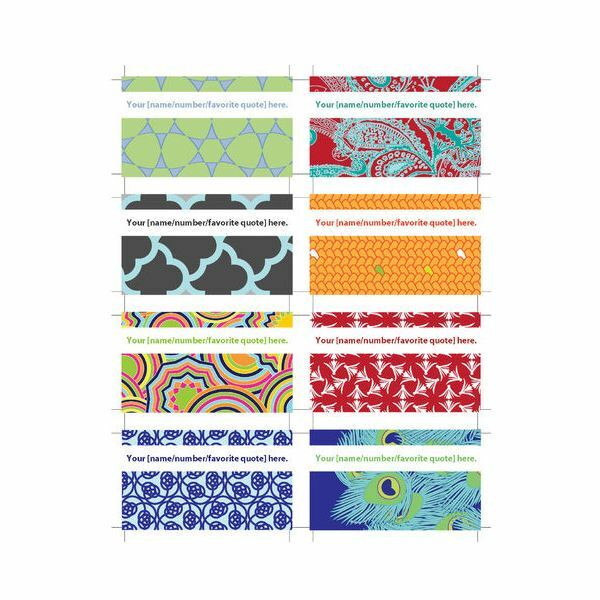 which includes all eight designs shown in the pic here, and then use the white strip to include your details—of course you could use the back and include more details if you wanted to. Although designed as old-fashioned calling cards, the creator of these designs has used them to create simple but stylish save-the-date cards too. Perfect for a save the date baby shower card, to make the mom-to-be in question still feel fashionable. 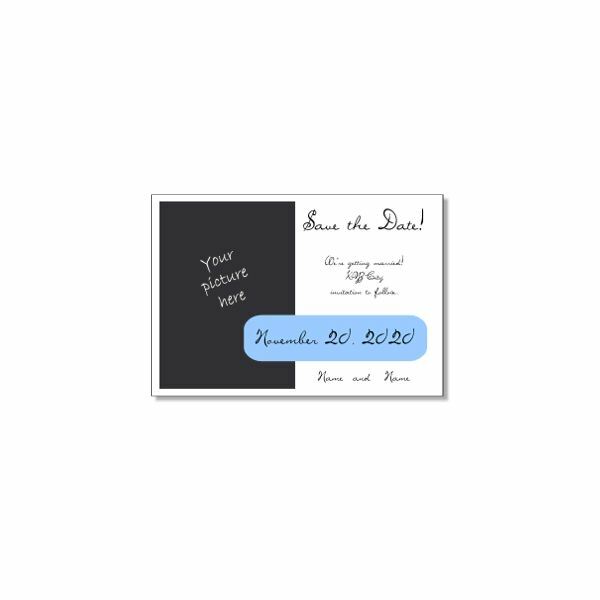 There are many save-the-date templates offered for free on this website, although they are very definitely geared towards wedding save-the-date designs. The designs tend to be quite floral and simple, with plenty of white space left for you to include the relevant details. The templates themselves are offered in JPEG form, so you can use it in pretty much any software program, adding a text box over the top to include the names, date, and also useful information. Why not use one of our recommended elegant wedding fonts to make the design even more appealing? designs at Wedding Chicks. Simply click on your favorite one to be taken to an editing screen—again no downloading or complicated programs. Then simply choose your color preferences from the drop down boxes, fill in the text boxes and hit submit. Your customized image will then appear in a separate browser window to be printed straightaway or saved for later—just right click to save. You can try different color combinations until you are happy with the result. This article series brings together everything you need to know about save the dates. 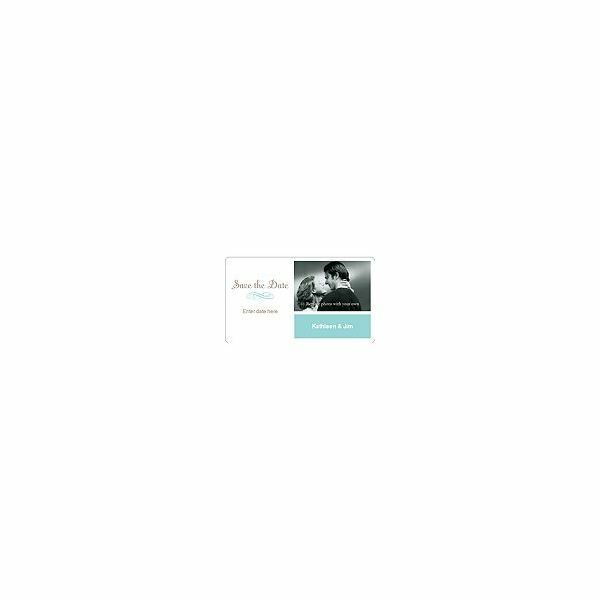 We cover the best free save the date templates available, how to make your own save the dates, save the date wording, and save the date etiquette, as well as some alternative ideas for your save the dates.